Do you like Japanese role-playing games? If the answer is no, I’d suggest clicking out of this this review. Whatever I have to say from here on out will do little to change your mind on the genre, and honestly, that’s not my goal. However, if just the thought of level grinding, turn-based combat and a protagonist destined to save the world tickles your nostalgia bone, we need to talk. Ni No Kuni: Wrath of the White Witch, the latest adventure from the talented folks at Level-5, has finally made it outside of Japan, and in a way, it’s everything fans of this long-worn genre could ever ask for. It’s traditional without feeling stale, expansive without being overwhelming and sweet without becoming saccharine. Many of the tired tropes that have prevented modern JRPGs from breaking out sit at the core of Ni No Kuni, but the game’s sincerity and polish make Oliver’s adventure stand out among a sea of soulless contenders. It’d be easy for Level-5 to just rehash the formulaic narrative outline that guides so many role-playing titles, but thankfully, the developer found a more charming way of presenting its plot. Instead of casting a tough guy with a bad case of forgetfulness as the leading man, Ni No Kuni presents the player with Oliver. A wide-eyed youngster with no sword or shield to brandish, the boy seems like little more than a quiet resident of the quaint town of Motorville after the opening sequences. However, life takes a hard swing when Oliver’s mother suddenly kicks the bucket. Overcome with grief and drowning in his own tears, it looks as if Oliver will spend the rest of his days without a mom by his side, but a visit from the magical Drippy, the Lord High Lord of the Fairies, turns the boy’s luck around. Oliver learns that in a parallel world lives his mother’s soul twin – a powerful sage named Alicia who recently lost a battle to the terrifying wizard Shadar. Alicia is down, but certainly not out, so there’s still hope to save her in both worlds. Ending Shadar’s reign would bring Oliver’s world and the one where Drippy resides back to order, so the young boy agrees to journey into an unknown land with his new, animated companion. Oliver gains a basic understanding of magic as he crosses over to the other side, and luckily for him, his pure heart is a powerful asset in the land of Ni No Kuni. The game truly begins once the duo enters this alternate world, which is littered with vibrant inhabitants. Cat-like people with curly whiskers are just as common to see strolling through the city streets as humans with pig masks. Monsters, both big and small, roam the rolling plains that surround the sensational cities, so it’s safe to say that Ni No Kuni is unlike anything Oliver has experienced before. It’s spectacular to describe, but the seeing all the fantastical pieces in motion never stops being a joy. Studio Ghibli, the Japanese animation company responsible for heart-warming movies like Ponyo and Spirited Away, is behind the presentation of Wrath of the White Witch, and it’s a perfect fit for the tone of the project. Everything from lush, green foliage to venom-spitting monsters pop right off the screen, and while the game may last up to 60 hours, locales never seem to repeat themselves. Walking into a dungeon is stirring for the looks alone, and new villages are worth entering just to gaze at the beautifully animated residents. Thankfully, characters have plenty of heart to accompany their style. Though Oliver may first come off as a uncomplicated, naïve child not yet old enough to understand his new-found hardships, the boy advances his disposition in many new, unexpected ways as he develops as a magic user. His courage shines through at key crescendos in the narrative arc, but it never swells to a level where it feels tacky. Other key players continue to sink their emotional hooks into the player, but it’s Mr. Drippy that brings the most wit and spirit to the journey. His ever-positive demeanor and Welsh accent are an absolute charm to experience, and similar to the Pikachu that stuck with Ash throughout his entire Pokémon journey, Drippy acts as the perfect, steadfast sidekick to Oliver’s poignant quest to save his mother. Strangely, the ties to Pokémon don’t quite end there. The battle system of Ni No Kuni allows players to take control of Oliver and his jolly cast of wanderers within a predetermined combat circle, but creatures known as “familiars” also tag along to assail dangerous enemies. Similar to the “gotta catch ‘em all” style of the classic GameFreak series, Oliver is able to woo and capture enemies encountered throughout his journey and level them up. Special attacks, stat boosts and the ability to metamorphose to an even more capable state all come through constant battling. Once a friendly creature has evolved into something a bit more formidable, its level plummets back to zero. This may sound like a disaster, but never fear: it doesn’t take long to build them back up. After a bit of grinding, their stats will be higher than they could have ever been in the previous state. While there are a seemingly endless supply of familiars to befriend and see metamorphose, you’ll quickly grow attached to a select set of unique fighters. Although it’s probably easiest to define the encounters as turn-based, a degree of activity and awareness not often found in JRPGs is required to make sure you end a battle with your wand raised. Direct control is taken of whatever on-screen character you wish to maneuver, and with three familiars attached to each of the four characters, 12 options are available at a single time. Elemental differences between your familiars and enemies, as well as just plain personal preference, guide which party member is best for battle, but the unique traits of the combatants make everyone a viable option. It’s all plenty of fun, and more often than not, a significant challenge. Battles are rarely won through constant button mashing, as later skirmishes will have you bouncing between participants at rapid speeds. The combat in Ni No Kuni is hectic, but never breaks into an uncomfortable chaos. Puzzles also squeeze their way into the mix, adding a greater deal of variety to the moment-to-moment action. Spells learned throughout the quest can help the gang repair hearts broken by Shadar, build bridges to new locations and bring light to dim nooks, but a riddle never arises that pushes your wit too far. The majority of this extracurricular activity does involve locating citizens who have been emotional sapped by the antagonist, figuring out their specific problem and giving them an extra bit of support. Traits like courage and restraint are overflowing in some NPCs, so it really only takes a simple heart transfer from those full of heart to those missing a piece or two to amend the situation The features work well to keep players on their toes, yet the main course of this RPG feast is easily the well-constructed combat. There are plenty of opportunities to experience the active battle system, as more than 60 hours of pure gameplay is packed into this wonderful package. Other than the main story quests that take Oliver through imaginative dungeons and bizarre settlements, side quests that bring in cash, equipment and supplies meant for crafting are scattered all across the world. Some objectives are as simple as “use your magic to fix this person’s poor, busted heart,” while others require transcontinental adventures to face perilous fiends. If you never touch a single side quest, chances are you’ll fall behind in terms of character growth. This is a classic JRPG in many of the ways people may not remember, meaning there’s a significant amount of grinding required to stay competitive in late story sequences. It rarely feels like a chore due to the stimulating combat, but if it’s simply the narrative that has you invested, there’s little hope you’ll be able to rush through the game to see it through to the end. But if this is a genre you have fond memories of, you’ll undoubtedly want to reach the tremendous conclusion. Along the way, you’ll laugh at the fantastic quips pouring from Drippy’s snout, feel remorse for Oliver as he deals with the separation from his mother and pump your fist in the air as the soundtrack swells at the perfect instances. The orchestral music, though not as instantly striking as the beautiful art style, is a true joy to sit back and soak up. Every emotional moment is enhanced by the loud-and-proud tunes following our hero, and while the music is anything but subtle, its ability to blend with the cartoonish world is a true wonder. Take away the eye-popping presentation and melodic brilliance, and you have a game that doesn’t really do anything novel. Yet, developer Level-5 gets right what so many competitors have failed to accomplish this generation. Ni No Kuni: Wrath of the White Witch is a JRPG that feels modern – scratching every lingering itch a fan of the genre could have. Each aspect of the gameplay works as a perfect complement to its neighbor, and though it’s unlikely to attract new believers to the genre, it’s a prime example of why games like this are still relevant. Ni No Kuni has arrived, and if you’ve been waiting for a JRPG to wow you this generation, you owe it to yourself to accompany Oliver on his heart-warming quest. 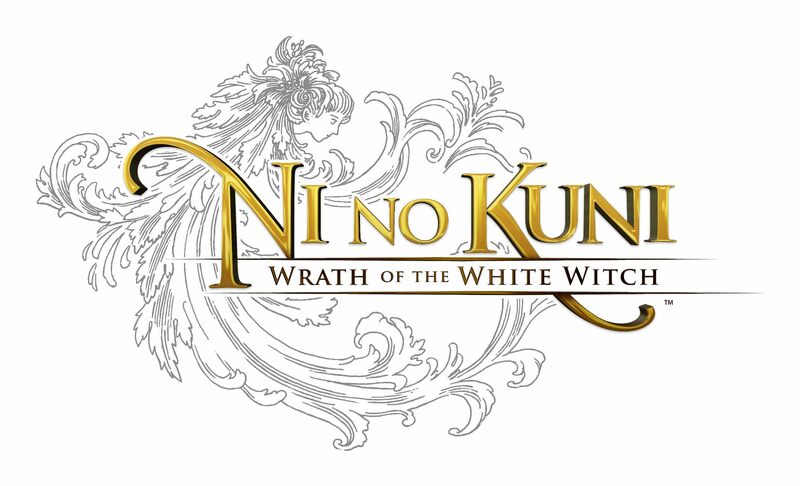 Ni No Kuni: Wrath of the White Witch was developed by Level-5 and Studio Ghibli , and published by Namco Bandai. A PlayStation 3 copy was provided by the publisher for review purposes.